It's often said that we should not forget to do the poses we "don't like that much" because they have a lot to teach us. This is true, but the reality is that we all have our favorite yoga pose/s for different reasons, and these are what we often choose to practice because we simply love them! So what is it about the poses we absolutely adore that makes us gravitate toward them? What can our favorite yoga pose say about us? Let's play and find out! Let's start with the most well-known pose, Downward Facing Dog (Ahdo Mukha Svanasana). This is a mix of inversion, stretch, and strength, as it stretches the back of the body while strengthening the arms and the legs. For some, this is a resting pose, yet for others, resting in it seems impossible. It opens the body, while still reserving a little something for internal inspection (gaze at your navel, anyone?). Much like the posture itself, Down Dog-lovers are most probably outgoing, accessible, and friendly, but also have a depth to them that may not be immediately visible to others. Can't wait to get upside-down? Headstand (Sirsasana) is a powerful pose that requires upper body and core strength, as well as a good solid base and concentration. If you love being upside down, you are probably a creative soul who loves finding new angles to common daily occurrences. Seeing the world from a different point of view and lifting your legs towards the sky rushes nutrients and blood to your head, giving your brain an influx of energy and creative ideas. Creativity in life keeps you youthful, and this youthfulness is also why you tend to gravitate towards headstand. Seated Forward Bend (Paschimottanasana) may look like a simple pose, but it can be very challenging and nurturing at the same time. Forward folds are calming, and they promote introspection. This pose is great for introverts looking to return to a place of calm after a busy day, as it soothes the mind and releases anxiety. It is perfect for those who calmly walk their own path in life, whether it's towards the toes or towards your dreams. You take time to analyze and interpret the messages that are rising from within, and you are living according to your own standards in life. Like to bend it backwards? Camel Pose (Ustrasana) is a deep, heart-opening backbend. Whenever we bend backwards, we expose ourselves and open our hearts to the world around us. This can take courage! Camel Pose is especially attractive for people who feel secure and safe in the world, are open-hearted and loves spending time with others. You love to communicate heart-to-heart with those close to you, you are open with your emotions, and you have a large group of close friends to hang out with. Are you always connected to your inner warrior? Warrior II (Virabhadrasana II) is a strong and fierce pose, giving us strength, power and self confidence. This pose is attractive for people who are not afraid of challenges in life, and don't shy away from difficult situations and face them head on. There is always a sense of fierce concentration and focus in you, even if you have moments when your foundation feels shaky. You have a great deal of determination to achieve what you want, and you are not afraid of going after it. Although Savasana is simple on the outside, it brings all of the benefits of yoga practice into our every day experience. We give ourselves the needed and deserved rest, and we practice the art of non-doing. Contrary to what some may think, this is not necessarily an easy thing for everyone because letting go and relaxing and surrendering can feel difficult. If you love Savasana, you are most likely very easygoing and unafraid of challenging yourself. You love chilling out, but also recognize that a good balance in life is important. There is time for work and achievement, just as there's time for play and surrender. You are not afraid to openly enjoy the flow of life and "see where it goes" because you have the quiet confidence that when you let go, life will carry you to where you need to be. Now it's your turn! 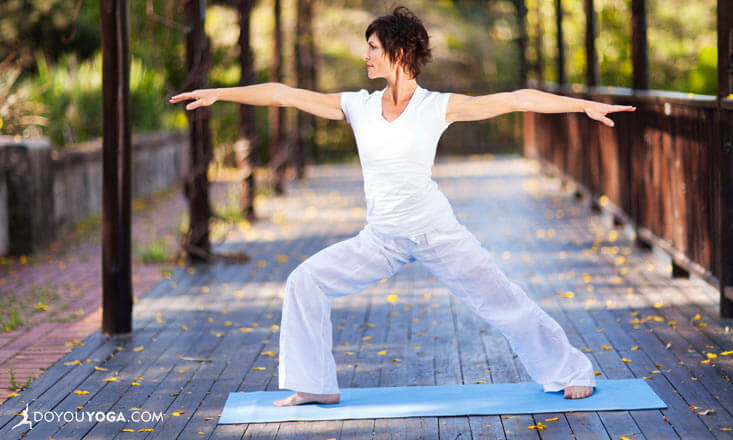 Play with the thought of what your favorite yoga pose might be trying to tell you. Does it bring out your strengths physically, emotionally, and mentally?